ParkCloud has opened up a range of car parks in town and city centres to online booking, notably with Aparcamientos Urbanos de Sevilla S.A. (AUSSA), based in southern Spain. 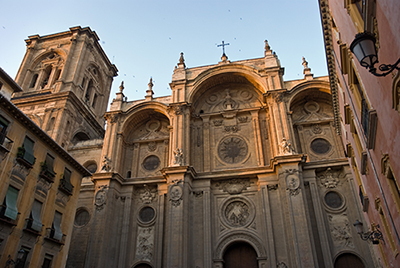 AUSSA, responsible for the local authority’s official car parks, operates centrally-located facilities in both Seville and Granada, favoured by those both living in, and visiting, these jewels of Andalusia. Further partnerships in Spain, with names such as Continental Parking, also mean bookings can be made further afield, in Madrid, Barcelona, and Bilbao. ParkCloud has traditionally focused on, like the rest of the industry, the airport sector for pre-bookings. Its recent collaborations, however, aim to address a growing need by those driving, to also reserve spaces "downtown". In addition to its Iberian venture, ParkCloud now offers spaces to book right across Europe, for example in London, Manchester, Milan, Rome, Venice, Bratislava, Budapest, Vilnius - and even Belo Horizonte in Brazil. Locals and tourists alike are benefitting from having the reassurance that they know where to park before they arrive.